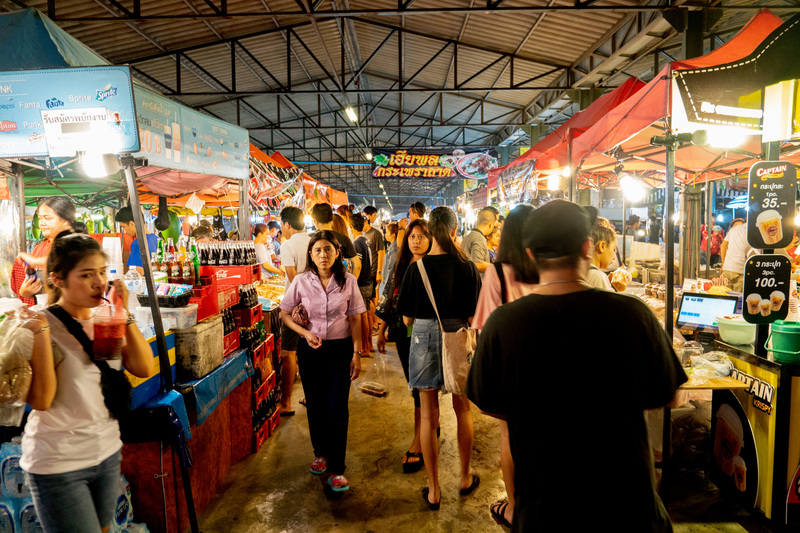 Not to be confused with its younger and hippier sibling located right next to the Thailand Cultural Centre MRT, the Rod Fai Train Market at Srinakarin is located about 20 kilometres away from central Bangkok, or about an hour’s drive away under typical traffic conditions. 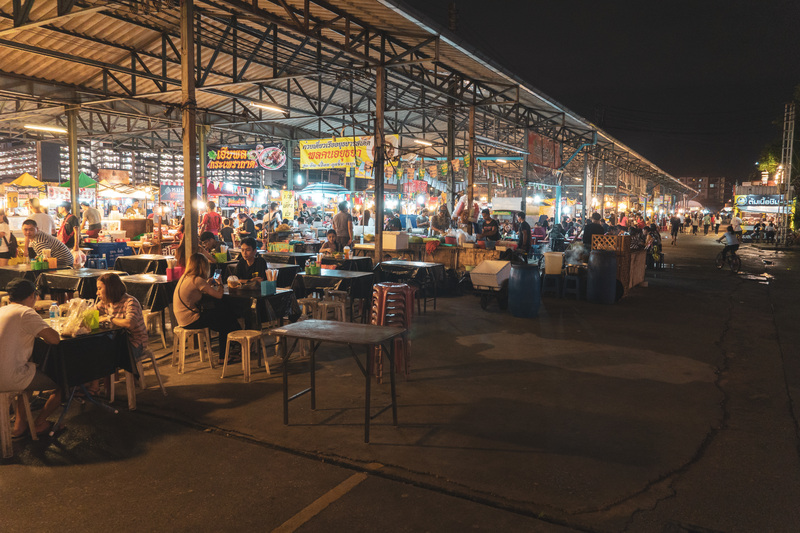 The market at Srinakarin itself isn’t the original, for the original, which was situated right next to the train tracks from which it derived its name, had to make way back in 2013 for the expansion of Bangkok’s skytrain system. The market then relocated to Srinakarin (right behind Seacon Square), with the second branch (i.e. the New Rod Fai Market) opening a couple years later at a more accessible location near central Bangkok. Compared to the new market, the older market is quite possibly at least twice as large, with space probably being a luxury it could afford due to its comparatively remote location. The nearest train station is at least six kilometres away, so your best bet is to take a Grab. Our Grab fare from Sathorn to the market cost us about THB270. 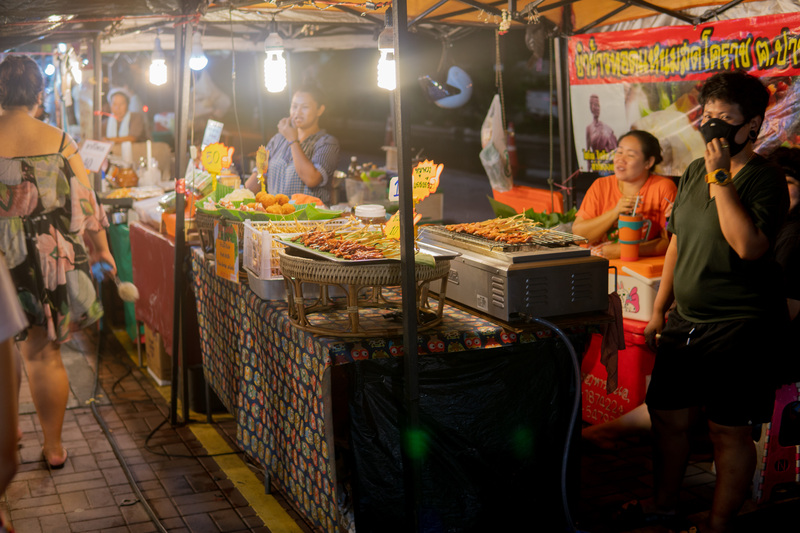 The market is logically organised, with designated areas catering to fashion, food and antiques. 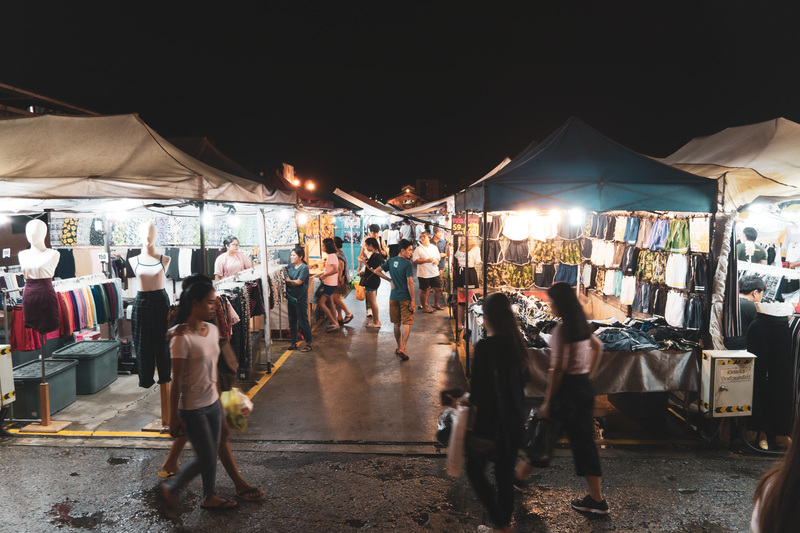 Near the middle of the market is a large, sheltered area with hundreds of food stalls, somewhat reminiscent of the Geylang Serai Night Market (but with far more space to manoeuvre despite the crowds) in Singapore or Taman Sentosa in Johor Bahru. 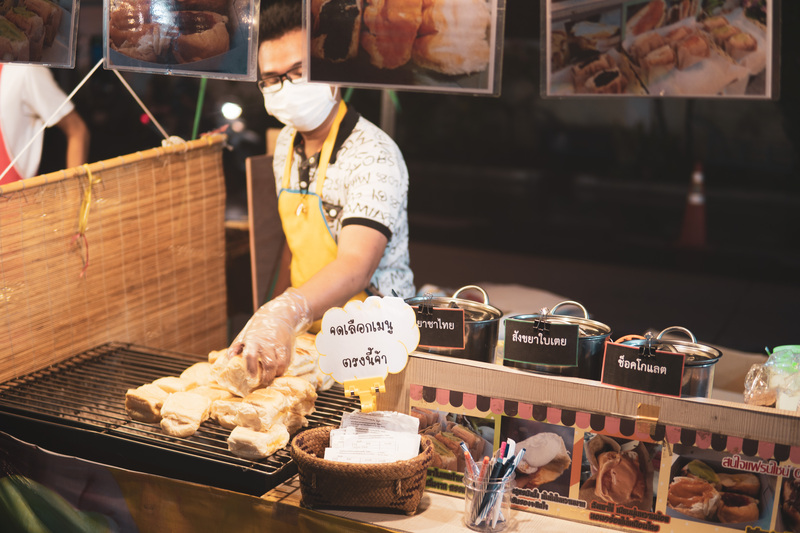 Apart from the usual Thai fare you see in Singapore like Thai Milk Tea and satay, there are also street delicacies that wouldn’t normally be palatable–raw prawns and fried crickets, to name a few. 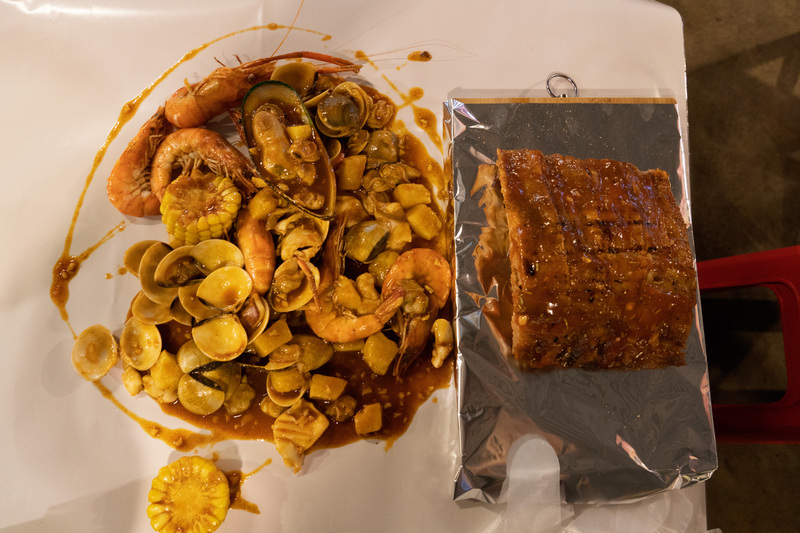 We opted for a safer choice and settled for a seafood platter with a side of pork ribs. Despite the wealth of ingredients, the taste was decent at best. Perhaps we should have gone with something more local instead like boat noodles. Near the end of the market you’ll see various huts looking similar to the one above. Many of these huts house antiques, mostly furniture, but also cameras, motorbikes and even cars. There’s also a large area selling ‘branded’ sneakers. Some of them look pretty much like the real thing, while others come across as a little too tryhard–a Nike swoosh with an Adidas logo, for example. 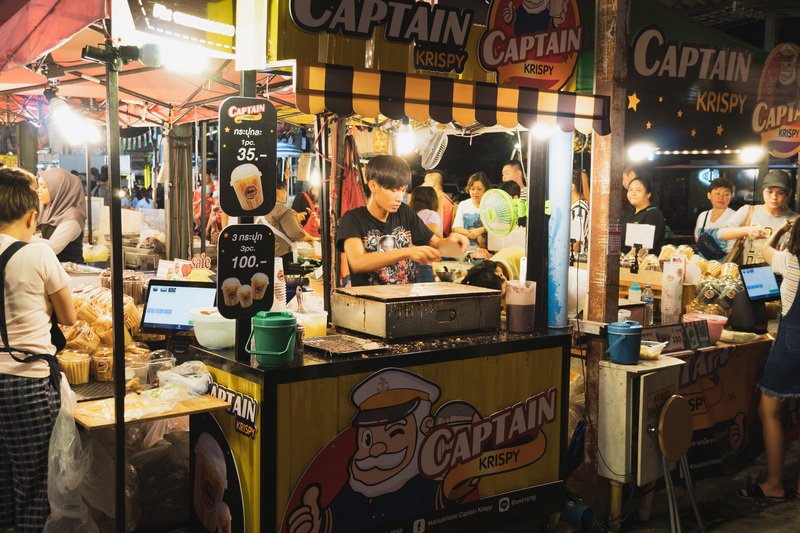 Compared to the newer train market at Ratchada, or Artbox, you won’t find as many watering holes or loud, blaring music. 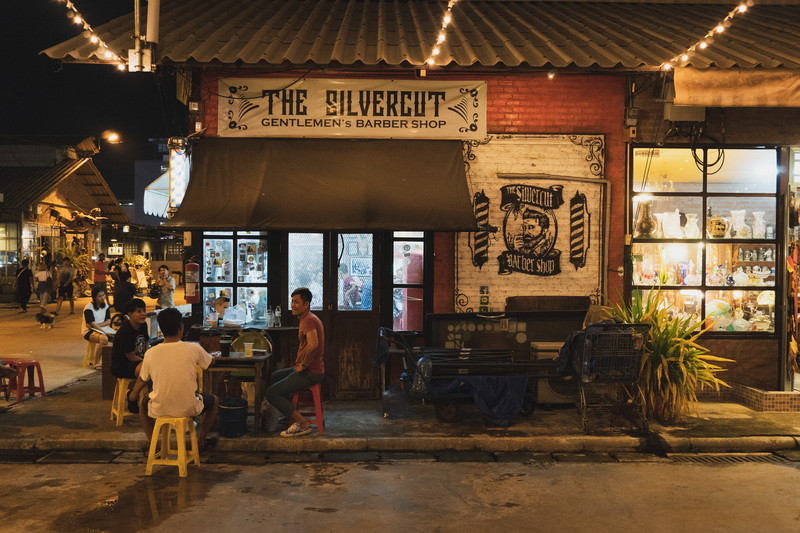 But if it’s food you’re after, with some fashion shopping and antique viewing on the side, it’s definitely worth checking out, especially if you’re in the city for more than a couple of days. Is it The Central or Clarke Quay Central?